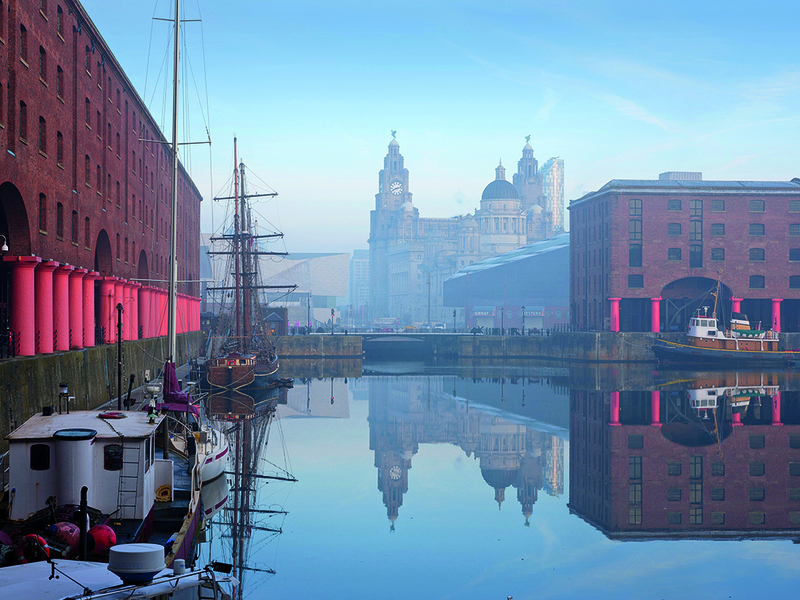 Liverpool was granted a Royal Charter in 1207, yet it was another 500 years before it emerged as a key port town. Ideally placed on the mouth of the River Mersey, routes between Ireland, the US and the Caribbean transported wool, iron, sugar and more. It wasn’t until the expansion of the cotton trade in nearby Manchester during the Industrial Revolution that Liverpool grew to become Britain’s second largest port. Rapid expansion in the second half of the 19th century saw iconic buildings spring up and the population double, while city status was granted in 1880. That influx of wealth and people helped forge one of the world’s most creative and welcoming cities. By the 1960s, Liverpool was not only about The Beatles, but also the Metropolitan Cathedral and the Liverpool Poets. Carl Jung described Liverpool as the “pool of life” and a bust of the psychiatrist pays tribute on Mathew Street. Beat the crowds at the Walker Art Gallery when it opens at 10am. Home to England’s finest art collection outside of London, it is particularly strong on the Pre-Raphaelites, those swoonsome, mid-19th-century Romantic painters. Visit John Moores Painting Prize 2018 (until 18 November) for a more contemporary splash of colour. the twin clock towers. This cormorant-like creature is the official symbol of the city. The nearby Titanic Memorial pays tribute to the ill-fated ship owned by the Liverpool- based White Star Line company. 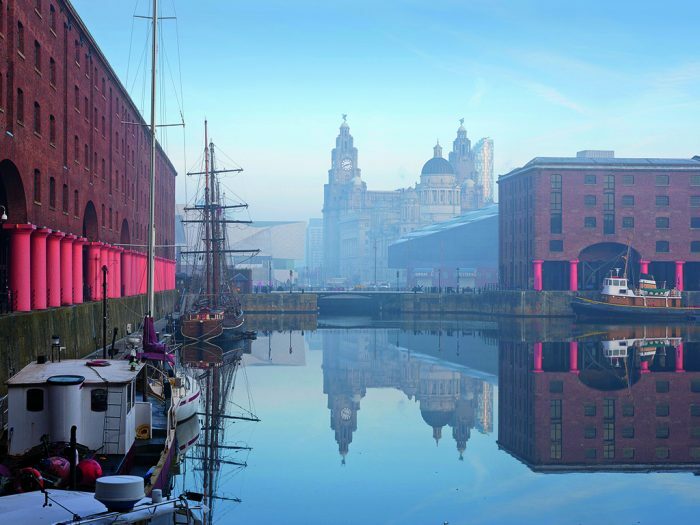 Although opened by Queen Victoria’s husband in 1846, the Royal Albert Dock only gained official royal status in June of this year to mark its key role in Liverpool’s maritime history. 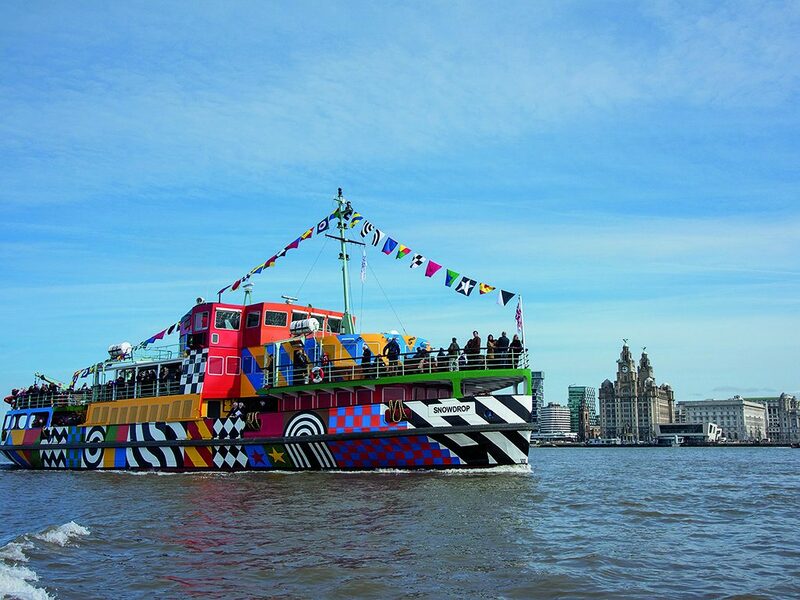 This Grade I-listed waterfront enclave is home to bars, restaurants and attractions, including the Merseyside Maritime Museum, Tate Liverpool, and the Beatles Story, a magical history tour of Fab Four memorabilia. 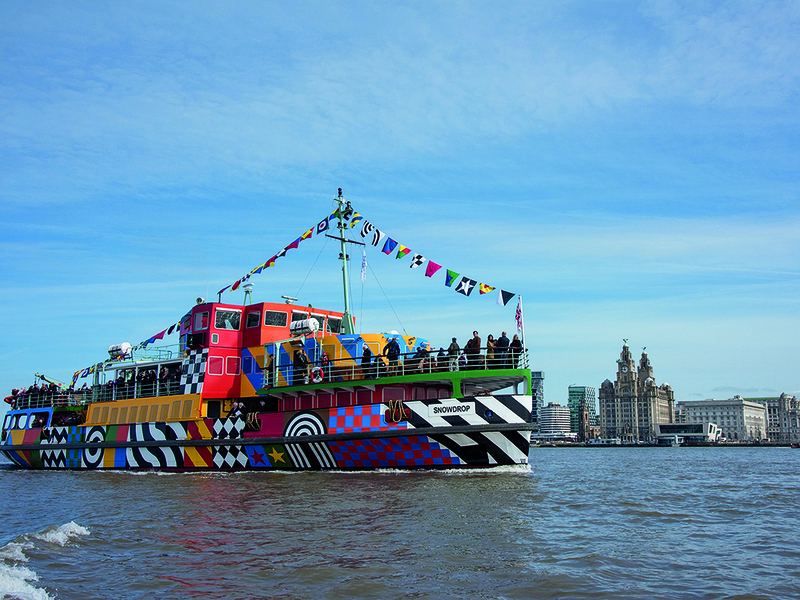 up the rechristened Everybody Razzle Dazzle at Pier Head for a 50-minute cruise that provides a unique view of the city’s UNESCO World Heritage waterfront. Behind the peppermint-coloured door of 59 Rodney Street lies a mid-century treasure trove. Under National Trust care, the home and photography studio of Edward and Margaret Chambré Hardman retains an air of 1950s bohemia, as the bedroom is strewn with vintage clothes and sepia photos hang out to dry in the darkroom. Sefton Park is a 235-acre oasis to the south of the city centre. More than just a green space, it boasts waterfalls in the Fairy Glen to the east and a red-and-blue bandstand thought to have inspired The Beatles’ Sgt Pepper. The Victorian-era Palm House, meanwhile, is filled with rare orchids and palms, as well as one of the oldest horticultural collections in Britain. 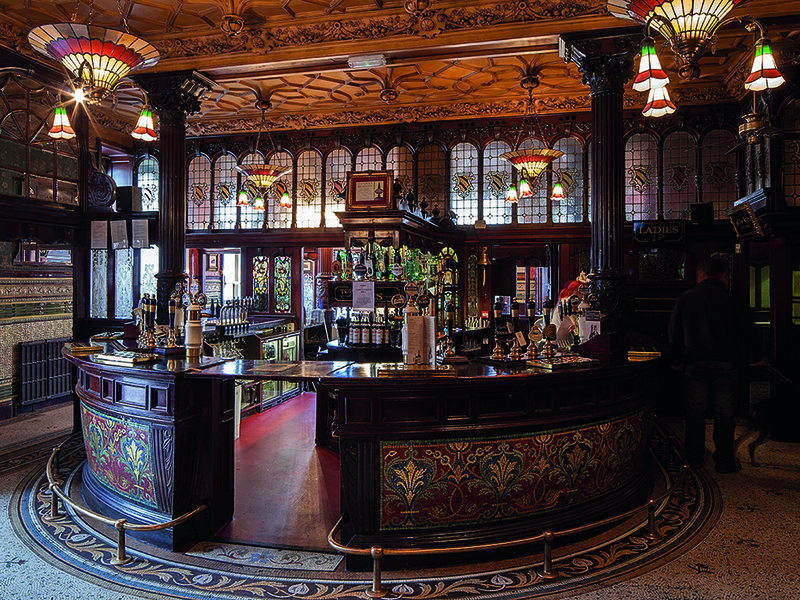 If you can tell a lot about a place by its toilets, then the Philharmonic Dining Rooms is the best pub in Liverpool. Designed when this Hope Street hostelry was a gentlemen’s club for the Philharmonic Hall opposite, the men’s loo is Grade I-listed, a higher rating than the venue opposite. Back in the bar, Sir Paul McCartney recently surprised regulars with an impromptu set of Beatles’ classics. After serving as a bar for many years, the former National Bank next to the James Street station was recently converted into gastropub The Old Bank. Chandeliers and marble columns lend a touch of 1920s grandeur, while the main floor can get livelier than a Wall Street trading floor. The Everyman and Playhouse are like the two halves of Liverpool’s beating theatrical heart. The former is a new 400-seat space that boasts a resident company of actors for half the year, while the latter is a 760-seat former Victorian music hall that hosts old favourites and new adaptations, such as Jane Austen’s Persuasion (9-13 October). Ideally located amid the theatre and music venues of the Georgian Quarter, the 89-room, Scandi-style Hope Street Hotel counts Yoko Ono among its former guests. Dine beforehand in adjacent sister restaurant The London Carriage Works, which serves high-end British fare inside an elegant 1860s converted warehouse. Set back from the street behind a row of lime trees, 2 Blackburne Terrace is just a minute’s walk from the bustle of Hope Street yet a world away in terms of seclusion and atmosphere. Within the 1826-built townhouse, four individually designed rooms boast Egyptian cotton sheets, Georgian-style furniture and – in two cases – views of the Anglican cathedral.